There are 6 posts tagged waste (this is page 2 of 2). We generally term everything that goes into our dustbins as “waste“. Every day, tons of waste is generated in households, shops, markets, offices, educational institutions and others. For Bangalore itself, 3000 tons of waste is produced daily while the figure stands at 7000 tons in Delhi. We often put all our waste (paper, plastic, food waste, e-waste) into a single bin. From there we either throw it out on the road or some open plot, or the municipal body collects it from us. What happens to this waste from here on? 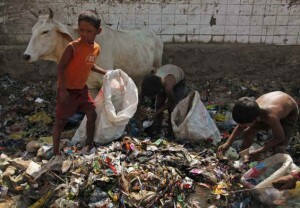 Where is this huge amount of waste which we are generating everyday in our “throw-away” lifestyle going? First of all, let me mention the little part which is actually recycled. You must have seen rag-pickers and waste-pickers picking up plastic and other materials from the waste lying on the roads. Most of these people are extremely poor, illiterate and belong to rural immigrant families. Many of them are kids who have never attended school. 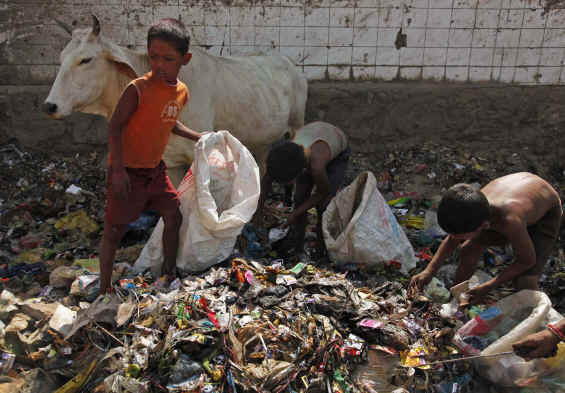 They collect our waste in most unhygienic conditions and are subjected to chemical poisons and infections. They are invisible entrepreneurs reusing and recycling our waste, reducing demand for natural resources. They are doing a huge public service to us and to our nation – for free. And yet, they get chased by dogs and abused by everyone. What an irony!!! Lets take the case of burning of garbage now. As Indians we have got used to burning of garbage and that sight does not alarm us. Well, it should!! Because, it takes only five ounces of burning PVC to give off enough hydrogen chloride gas to kill someone in an average sized room in just TEN MINUTES. Even if it is not severe, it can cause the risk of damage to lungs, kidneys and liver. Long and continuous exposure to smoke and toxins (which appear harmless) can cause chronic diseases like bronchitis, emphysema and cancer. 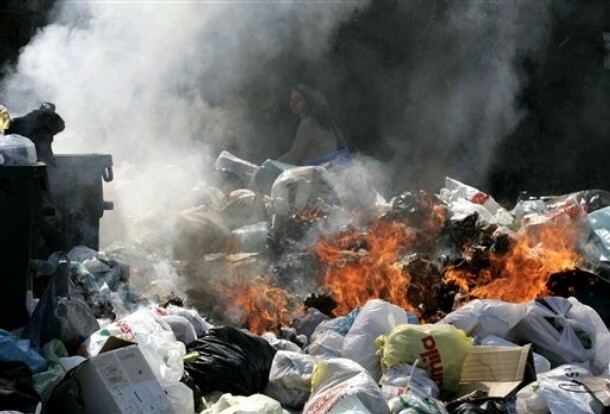 Apart from health effects, burning trash releases pollutants like dioxins, ash, furans, halogenated hydrocarbons, carbon monoxide, lead, barium, chromium, cadmium, carbon dioxide, arsenic and mercury into the atmosphere resulting in global warming and ozone layer depletion. Apart from recycling and burning of garbage, most of it reaches the landfill, which is a large open area where the garbage is dumped, covered by soil and left to decompose. Decomposing might take hundreds to thousands of years, and some materials never decompose. Landfills pollute and contaminate the ground water and soil. Animals like raccoons, rats, insects, cockroaches are attracted towards the area creating a health risk in the area. 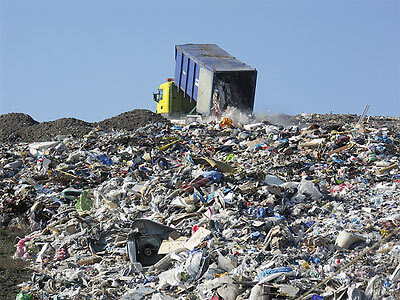 Landfills also release methane gas from decomposing garbage which is a dangerous greenhouse gas. Moreover, landfills are not a solution as it encourages garbage creation. It takes away land from humans and other animals and considering the amount of trash we generate these days, we may soon run out of land to use as landfills. Living in a society driven by consumerism we have come to accept the “use and throw” and “disposable” attitude as a way of life. It is our responsibility that we take care of the waste we generate to ensure a healthy environment to live in for our kids and future generations. Although it might look like a big problem with no solutions, garbage is not a problem. In fact, waste is a resource in disguise. Using the term “garbage” let us see it only as a problem and not an opportunity. Seeing it as a resource can present enormous opportunities to us, for better disposing and recycling, for reducing pollution, for creating employment and businesses, and for making our earth safer and beautiful to live in. I will share more about these opportunities in future posts, so watch out for more. View more presentations from Sumit Gupta.